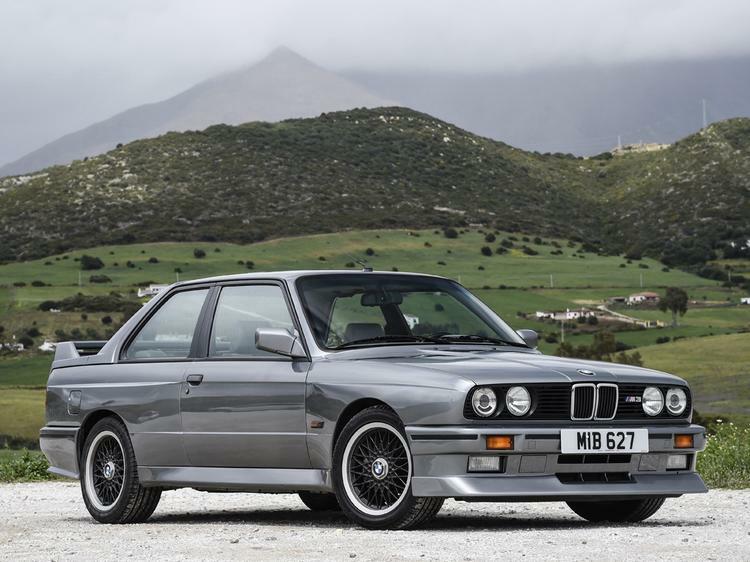 Designed originally as a Mercedes rival for Group A Touring car racing, BMW's left-hand drive E30 M3 is now one of the most sought-after modern classics. Put into road production for homologation purposes, the M3 was powered by a 2.3-litre, lightweight four-cylinder engine which was essentially a cut-down version of the BMW M1's straight six capable of revving to over 9000rpm. A Getrag five-speed dog-leg gearbox was standard, along with a heavily revised suspension (based around a MacPherson coil and strut front suspension and a rear semi-trailing arm set-up) a rear limited-slip diff and uprated brakes. The basic E30 body also received flared wheel arches, spoilers and a specially strengthened shell. The road car achieved a sub seven second 0-60mph time and touched 150mph flat out. 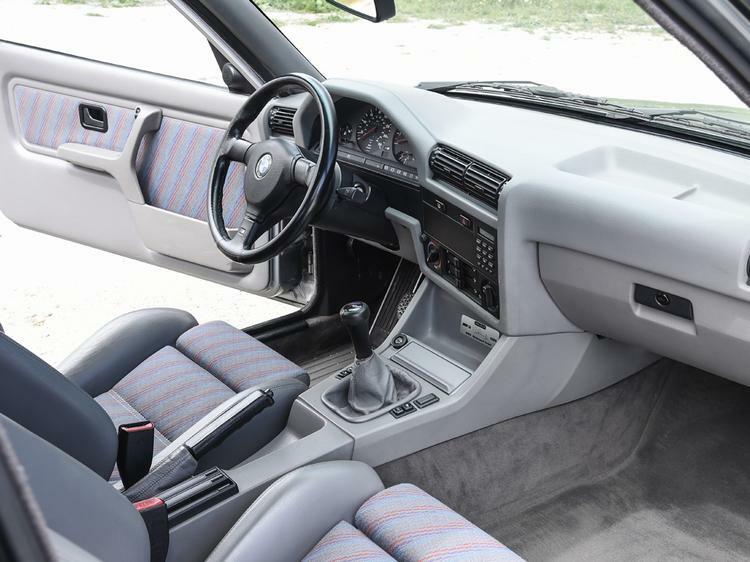 Launched in 1986 as a two-door coupe, initially with 200hp, close to 15,000 E30 M3s were eventually manufactured - making this model one of BMW's best selling cars. 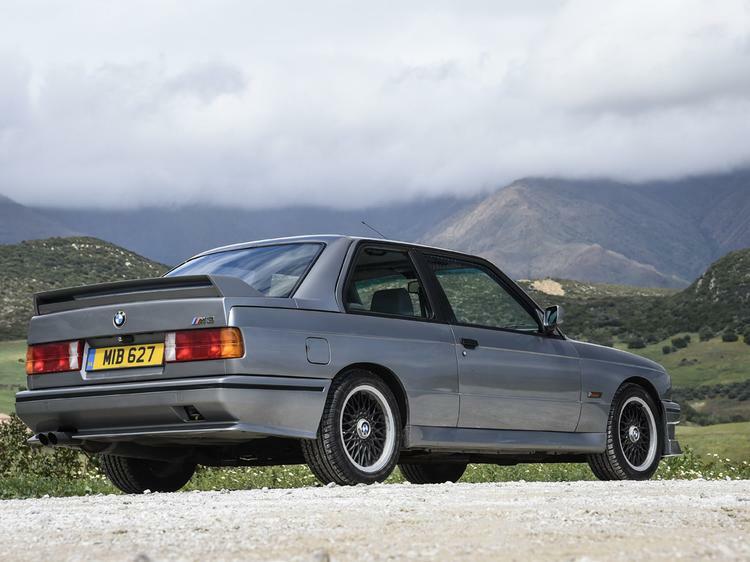 It also sold a limited number of convertible versions as the M3 evolved over the following years. 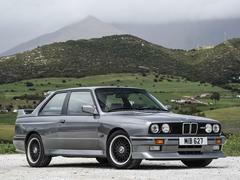 A limited-edition 1987 M3 Evolution model was built with changes to the front and rear spoilers to improve aerodynamics, and this was followed in 1988 by a stripped-out M3 Evolution II model with power increased to 220hp and further weight reduction, as well as further modifications to the aero package. 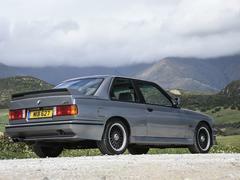 In 1989 and 1990 an M3 Sport Evolution continued the limited-edition theme, available in either black or red, with a bored and stroked 2.5-litre engine producing 240hp at 7,000rpm. 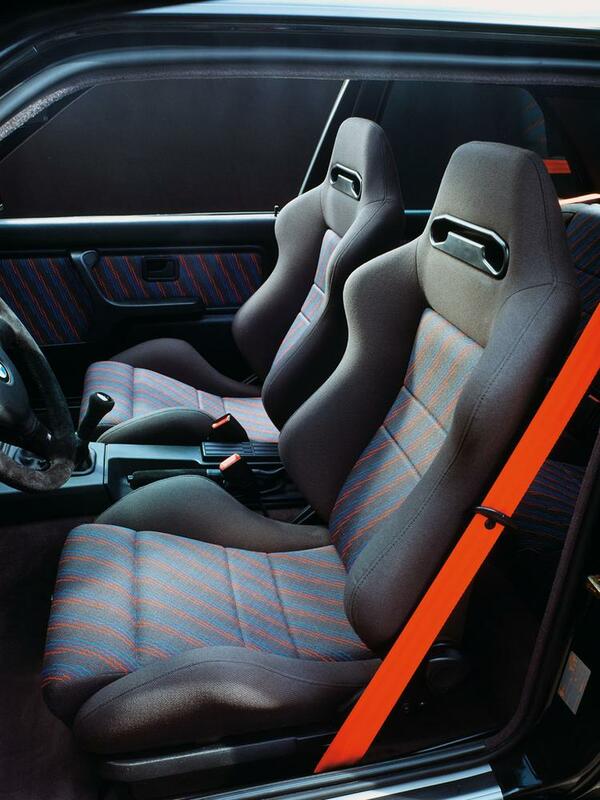 Modified arches were fitted to allow for 18-inch racing wheels and BMW also produced the M3 Europameister limited edition to celebrate the M3's 1988 European Touring Car Championship win. These 150 cars were equipped with leather interiors and dash plaques signed by driver Roberto Ravaglia. 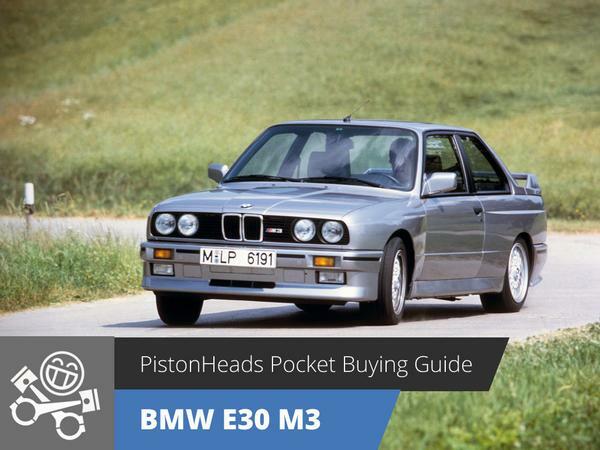 With high demand and low supply E30 M3 prices have been rising quickly over the last few years. But the car is very well made - it's rare to find engine wear problems even at well over 100,000 miles, on well-maintained examples. Little goes wrong with the suspension and brakes other than the usual wear and tear and the E30 M3 is relatively easy to keep in good health. But there are still some poor examples out there - mostly with hidden rust problems - so make sure you buy a good car with a strong engine and a provenance that's as pristine as possible. And bear in mind that most M3s will have been through periods of track day use and occasional neglect. Gearbox rebuilds are eventually required - is the transmission notchy or noisy?